Amendment in UK settlement visa from 6 April! The recommended amendments in UK settlement approved earlier by the government will be effective from 6th April 2011. The government has approved the settlement rules which will further tighten the previous criteria by introducing more stringent policies. The new laws will cover, Applicants having criminal conviction have to be cleared of all these conviction reports at the time of applying for settlement program. The amendment in settlement program will introduce new income criteria in the codes of practice. The new income criteria for Tier 1 General class candidates will remain the same as they applied last time of their stay extension in UK. Candidates of Tier 2 General as well as Intra company Transfer will have to satisfy the new codes of practice covering appropriate income. The new amendments will provide a fast-tracked settlement route to the applicants of Investors and Entrepreneurs of Tier 1 visa category, if they meet the enhanced requirements. Candidates have to follow amendment in English language prerequisite too. Applicants of Tier 2 as well as Tier 1 will have to encounter and qualify the Life in the UK test alone. The applicants will not have to face ESOL and course of citizenship furthermore for settlement grant. 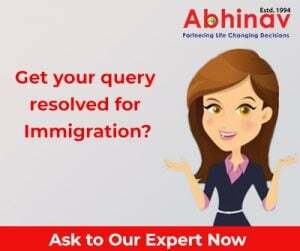 Applicants interested in settlement grant can assess specialized services of Abhinav immigration. We are engaged in UK immigration and visa services since 1994 with a wide spectrum of experience over numerous visa cases of our clients. Forward your resume to ajay@abhinav.com for free assessment and further details. Germany All Set to Simplify Immigration Laws!